100% Freeware, Clean & Safe. TVexe TV HD is an award winning (2005-2019) freeware for Windows® Current Version: TVexe TV HD (File name tv.exe - File size: 635Kb). Now you can watch over thousand [1000+] live worldwide TV channels on your PC. 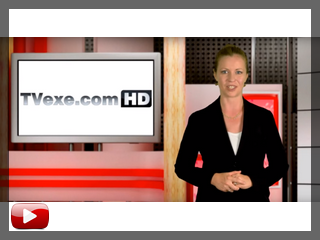 TVexe TV HD is an extremely easy to use application and anyone can find their stations on TVexe. News, Music, Educational, Sports, Art, Kids, Movies & Entertainment channels are sorted in a very easy to find way, together with TV in English, Spanish, German, French, Portuguese, Turkish & Arabic sections. Features multi format (Flash®, Windows Media®, HTML5, And more.). TVexe TV Will run the station's live video in a fixed screen. Features 1000+ of live international online channels, 24 hours a day. English, Spanish, German, French, Italian, Russian, Turkish and more. It's like a free trip around the world; seeing other peoples' style of living, hearing new languages and music and seeing world views and news. Online channel guide, which means fresh new channels are added dynamically as soon as they become available and inactive channels are removed. 1000's of Live Radio Stations are included.